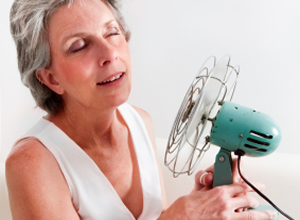 New research used to help cool hot heads during menopause, migraines or fevers. I know from the many women who contact me that night sweats and overheating in bed are a nightmare. I have suggested alternatives before, but I have just come across a new one that might help some of you get a good night’s sleep. Apparently research indicates that cooling the brain can help achieve a more restful sleep – which is the principle the gel filled pads under your pillow are based on – but now it has got better. A recent research study conducted by Dr. Eric Nofzinger and Dr. Daniel Buysse from the Sleep Neuroimaging Research Program at the University of Pittsburgh School of Medicine has shown that certain triggers, like a drop in temperature, cause the brain to release chemicals which promote sleep. An ingenious new product – the Cool Cap – utilises that latest research and has been launched by The Personal Cooling Centre. It has an adjustable fastening and uniquely covers the whole head and its specially formulated cooling gel will help you fall asleep faster and more easily. Hopefully it will also keep you cool enough to overcome those hot flushes and night sweats. For even greater relief they suggest you put it in the fridge before use – not, please note, the freezer! 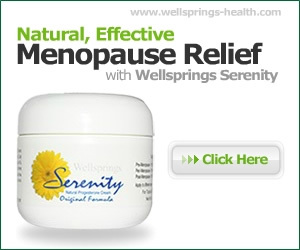 Not only menopausal women could benefit from this, but also anyone suffering from insomnia and fever from colds or flu. Apparently it can also be beneficial for migraine sufferers as they could also benefit from the cooling effects of the Cool Cap as lower temperatures help dilated blood vessels constrict, lessening blood flow to the head and reducing pressure on the nerves. For additional benefit they suggest you keep it in the fridge, and although it won’t make you look like sleeping beauty – style isn’t it’s strongest feature – hopefully you will be cool enough not to care. .
Sheron Unfortunately you are not alone as we are hearing from an increasing number of women who are experiencing menopause symptoms well post menopause. A recent study has shown that a much higher proportion of ‘older’ women (average age 59 in this study) than was expected still suffer from hot flashes and night sweats, well after menopause is assumed to be over. 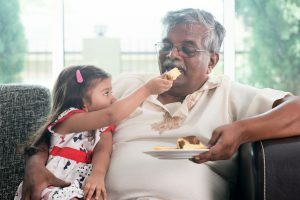 Post-menopause if oestrogen dominance is still present from being overweight or exposed to other forms of oestrogen through the diet or environmentally then that can increase flushes. Also other factors can be at work, particularly stress – as you mentioned – or anxiety as these definitely affect your overall hormone balance. Useful deitals! I have already been looking for something similar to this for a little bit now. Bless you! Thank you for letting us know about this Wendy, we like to have information on ways to help women cope with night sweats.